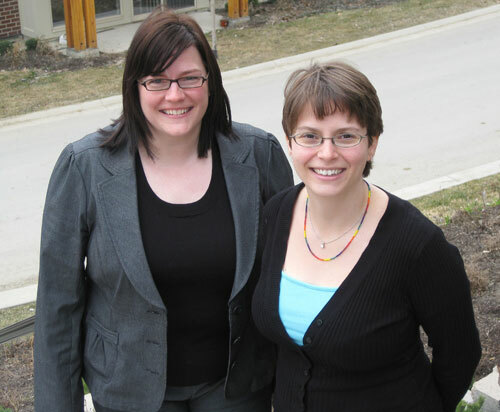 This is a busy summer for UBC Okanagan conference planners Peggy Walker and Jen Neilands. The university campus in Kelowna turns student residences into affordable conference accommodations from May to August. Conference planners Jen Neilands and Peggy Walker and the rest of UBC Okanagan's Conferences and Accommodation team are hosting some of the largest summer conferences and gatherings ever to take place on the rapidly growing university campus. "Kelowna and the Okanagan are very popular, and we have some of the most affordable accommodations in the area," says Neilands. "We're seeing a lot of sports and youth groups, and religious groups choosing to come here. They tend to be looking for affordable accommodation with a variety of meeting spaces." Now through July 22, the campus is hosting 200 prospective Team BC athletes for Volleyball BC's Baden Cup. Top coaches and athletes from across the province are participating in this progressive large-scale training experience, staying on campus in student residences while using the UBC Okanagan Gym facilities for training sessions. Following the training, teams from across Canada will participate in the National Team Challenge Cup (NTCC) Volleyball Tournament from July 22 to 27. Canada's top dancers are also visiting UBC Okanagan right now, as the Generation II Dance Society holds the Okanagan Summer Dance Intensive until August 15. Three UBC Okanagan classrooms have been transformed into dance studios for the group of 47 dancers aged 13 to 22. From July 23 to 26 the Lutheran Youth District will gather at UBC Okanagan with 200 participants, and the Circle of Love gathering will see 200 people staying on campus from August 17 to 20. The largest-ever conference to visit UBC Okanagan is the United Church of Canada's 40th General Council, with about 700 attendees staying on campus and in the community from August 9 to 15. This summer the campus has capacity to accommodate 650 people, but with construction of more student residence buildings well underway, by next summer the campus will be able to host groups of up to 1,000 people. Revenue from conferences and accommodation operations helps to pay for the campus student residences. "Our main goal is to keep student housing costs down," Neilands notes. Last year, conferences and other events brought 75 groups and nearly 17,000 people to stay on campus. The Conferences and Accommodation team works with conference organizers for up to a year before their events, and Neilands says interest is strong. "We have twice as many beds this year, so we're seeing a real increase in business," she says. "And we receive overwhelmingly positive comments - it has really been great to hear." For information about conferences at UBC Okanagan, contact Neilands or Walker at 250-807-8055.